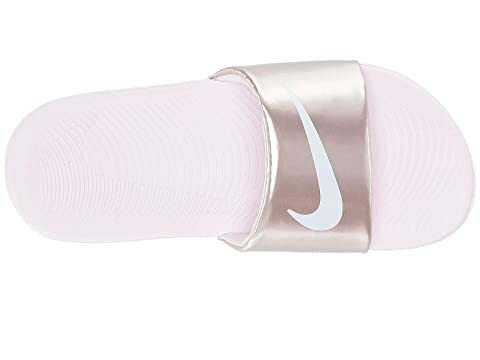 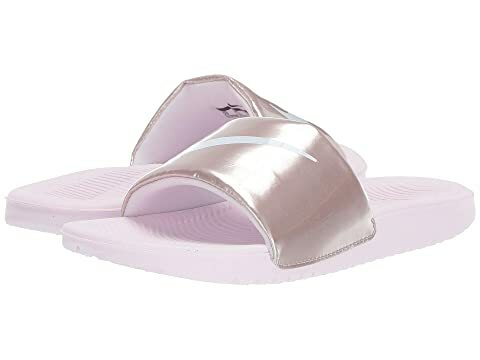 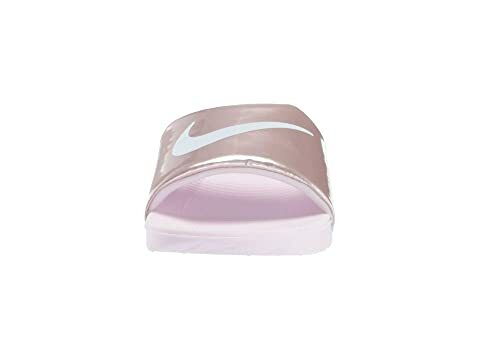 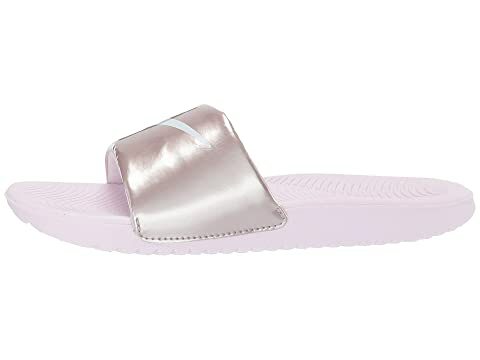 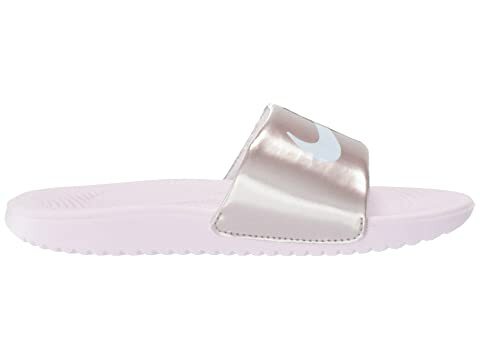 Give your feet a break with the cozy and comfortable Nike® Kids Kawa Slide Metallic! 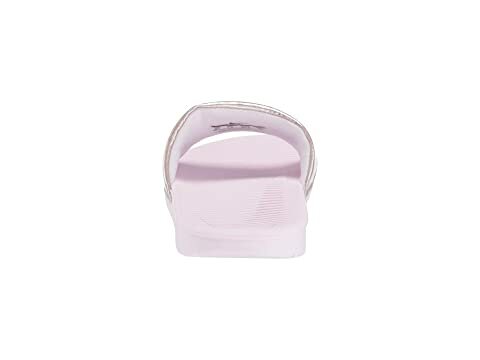 One-piece metallic synthetic strap upper with extra padding. 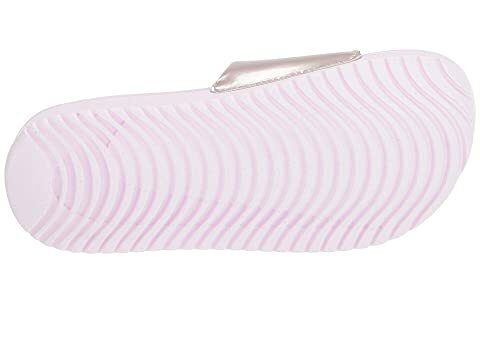 Lightweight Phylon combination midsole and outsole.